Pasternack, a leading provider of RF, microwave and millimeter wave products, has released a new series of straight waveguide sections in sizes ranging from WR-10 to WR-137. Typical applications include instrumentation, test benches, high-efficiency RF/Microwave transmission, SATCOM, MILCOM, radar and telecom networks. Pasternack’s new line of straight waveguide sections consists of 62 models that operate in the frequency range of 5.85 GHz to 110 GHz and in 13 waveguide bands from C to W band. They also deliver VSWR as low as 1.03:1. These waveguide straights are available in section lengths from 3 inches to 12 inches and are made of either painted copper alloy or gold-plated, oxygen-free hard copper (OFHC) and feature UG, CPR and UBR-style flanges. These straight waveguides are ideally suited for aerospace, defense, industrial, test and instrumentation, telecom and medical industries. “We are pleased to offer this full range of waveguide straights that support over 13 bands and are available in section lengths from 3 to 12 inches. They perfectly complement our rapidly expanding waveguide component portfolio and deliver quality construction and consistent performance,” said Steven Pong, Product Manager at Pasternack. Pasternack’s straight waveguide sections are in stock and ready for immediate shipment with no minimum order quantity. 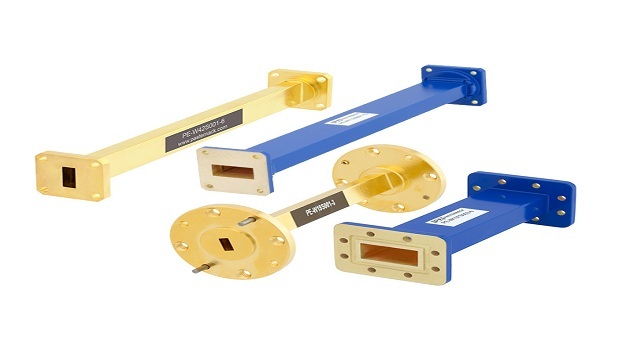 For detailed information on these products, please visit https://www.pasternack.com/pages/RF-Microwave-and-Millimeter-Wave-Products/straight-waveguide-section.html.